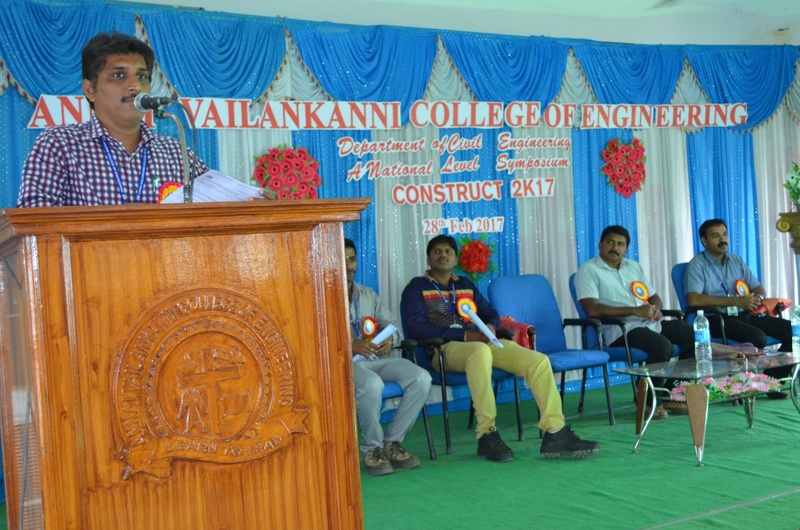 The Civil Engineering Department organised a National Level Technical Symposium named as Construct 2K17 on Feb28. The function started with prayer song and welcome address by Prof. R. Rajiv Gandhi/HOD/Civil. 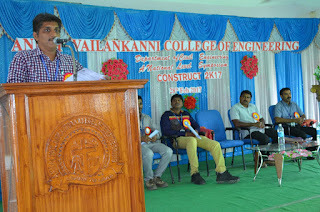 After that our chief guest ( Er.A.M.Amuthan, M.E., (Structural) Prop: AMR Consultancy) gave a valuable address to the students. Our principal Dr. P. Senthil Kumar gave Felicitation address to the students. After the Inaugural; the events like Paper Presentation, Code Cracking, Technical Quiz and Cadd Modelling was conducted. From the various colleges nearly 120 students participated in events. Finally the awards were distributed to the winners.